We’d love your help. Let us know what’s wrong with this preview of MotoGP Performance Riding Techniques - Fully revised and updated by Andy Ibbott. An official MotoGP book, this practical guide to motorcycle racing technique, aimed at racing and track day enthusiasts at all levels, has been fully revised to include new information as well as many fresh photographs and up-to-date quotes from MotoGP stars. 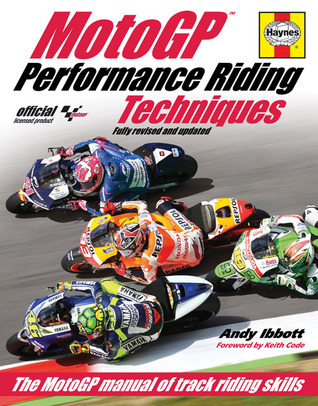 From starting and accelerating to braking, cornering, overtaking and even crashing, this book combines expert guida An official MotoGP book, this practical guide to motorcycle racing technique, aimed at racing and track day enthusiasts at all levels, has been fully revised to include new information as well as many fresh photographs and up-to-date quotes from MotoGP stars. From starting and accelerating to braking, cornering, overtaking and even crashing, this book combines expert guidance from an experienced coach with advice and anecdotes from today’s top riders. This is the authoritative guide to improving your racing technique and performance on the track. To ask other readers questions about MotoGP Performance Riding Techniques - Fully revised and updated, please sign up.